Over in the corner of my living room sits a lonely chair. It desperately needed a small table just big enough for a cup of coffee and a remote control. 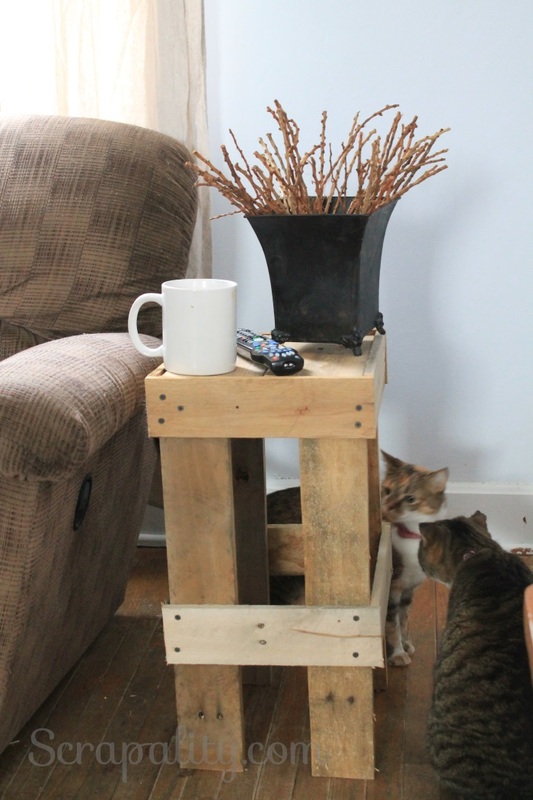 So one afternoon I headed outside and grabbed a few boards to build a cute little rustic table to keep the chair company. First I started with a few pallet boards. Then, I had to decide how tall of a table I needed. I used a measuring tape to measure the height of the arm of the chair. Then I cut four boards for the legs. Next, I cut 8 more boards for the sides. I screwed the boards together leaving about half an inch from the top of the side boards. 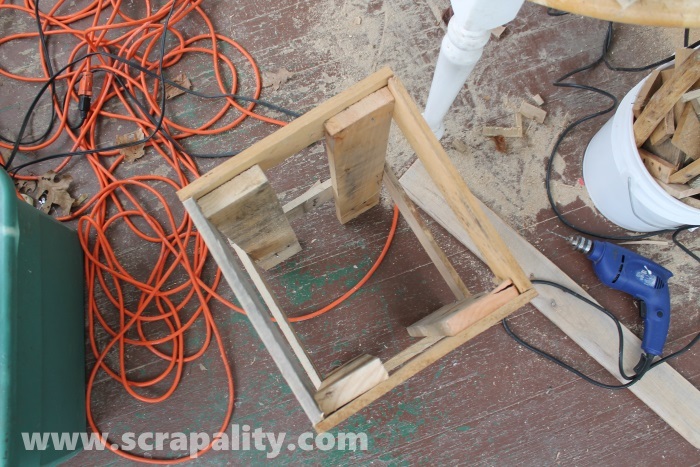 The top of the leg boards will support the top of the table. 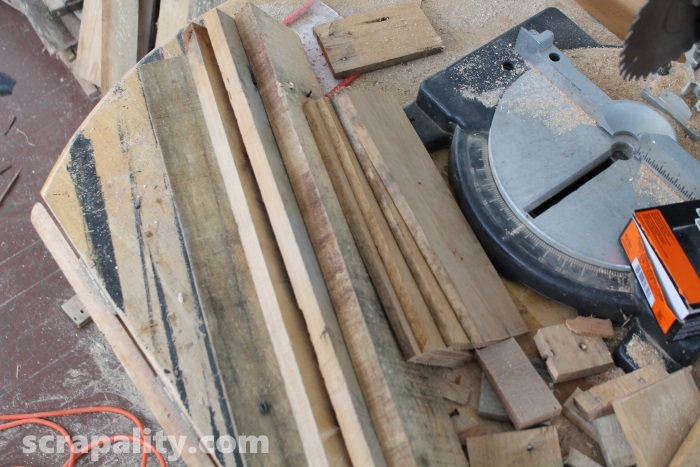 I then cut two larger wider boards for the top. They miraculously fit perfectly! I love the rustic look of the small table. It fits perfectly next to the chair. And, it’s kitty approved. The best part is, it was free. Can’t go wrong with free. I have further plans for this little rustic gem, but for now it will have to wait. I’ll be sharing my little rustic table with a few amazing linky parties. You are the queen of pallet projects! Turned out very cute. Thanks for sharing with SYC. I love this! It’s so simple, yet beautiful and perfect size for that cup of coffee! I love this! 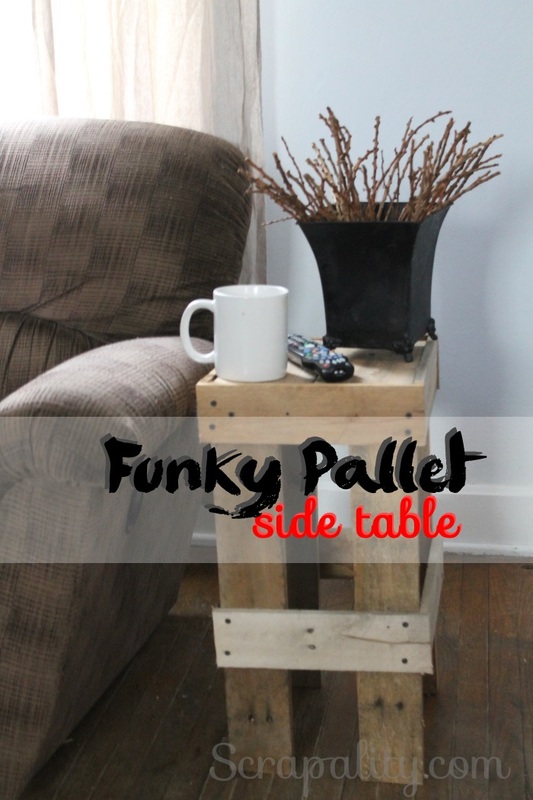 You have amazing pallet projects. 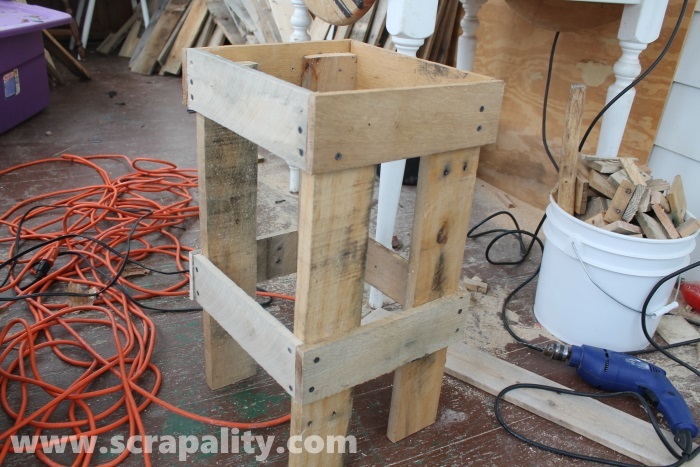 Oh, I just love this little side table and how neat that you built it! Love, Love, Love!! 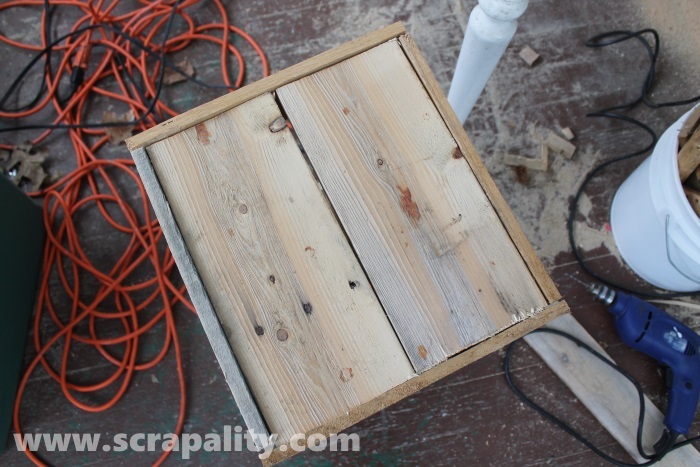 I have been wanting to try a pallet project. Thanks for sharing with us at Mommy Monday.